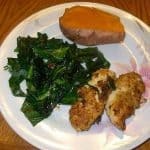 Chicken and Collards, an excellent Southern dish. Full of goodness. This chicken and collards recipe is low fat and full of flavor. Hi. It’s Lois in the kitchen, talking about Chicken and Collards, a dish I never had until I move to the South. 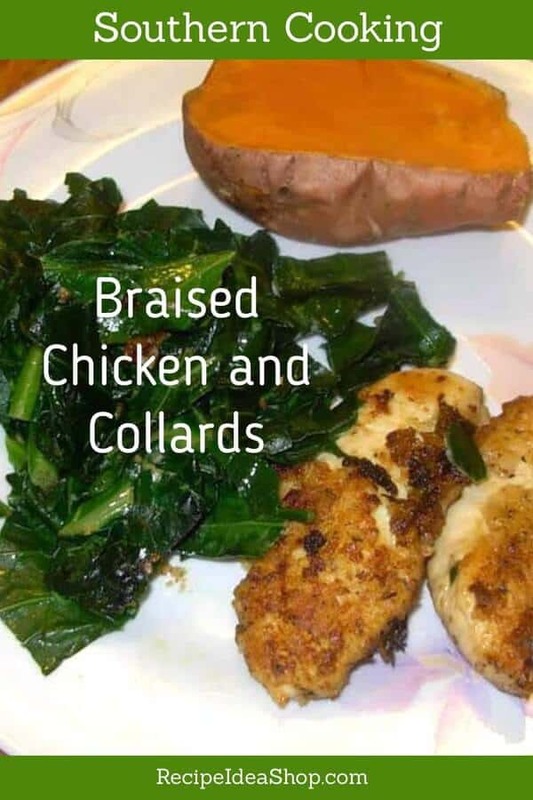 I love collards, especially with chicken. Collards are a terrific source of calcium, dietary fiber, folate, iron, manganese, magnesium, niacin, phosphorus, potassium, protein, riboflavin, thiamin, vitamin A, vitamin B6, vitamin C, vitamin E and vitamin K. Not only that, but they taste great. 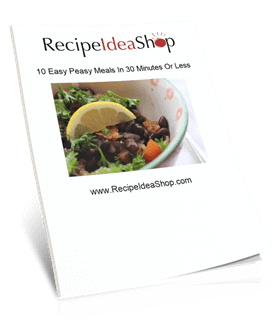 This is an excellent recipe, originally from the cookbook Superfoods, a super duper cookbook by Dolores Riccio. Superfoods: 300 Recipes for Foods That Heal Body and Mind. Buy it on Amazon. Get yourself quality knives and excellent pans. A good cook needs tools! Cuisinart C77SS-15P Graphix Collection 15-Piece Cutlery Knife Block Set, Stainless Steel. Buy it on Amazon. Southern food at its best. Cook the collards and broth in a large pot for about 10 minutes until the greens are wilted and tender. Watch this carefully to make sure the broth doesn't boil away. Drain the greens and set aside. Mix the flour, Italian seasoning and rosemary in a plastic bag. Toss in the chicken pieces in this mixture until thoroughly coated. Remove the chicken and shake off the excess coating. Brown the chicken on one side. When one side is browned, turn it and brown the other side. Continue cooking the chicken until it is cooked through. Add the drained collards to the pan, turning the leaves in the pan juices. Heat the collards until they are heated through. 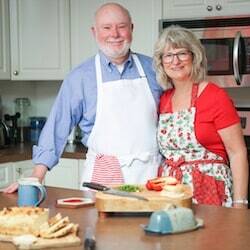 Serve with a baked sweet potato or a baked white potato. It's amazing! Enjoy. 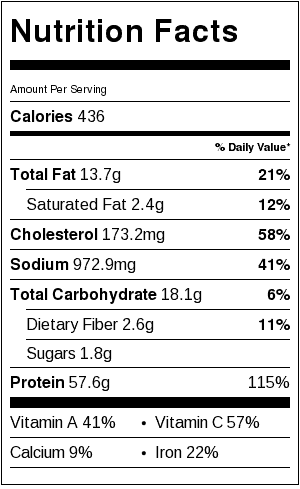 Braised Chicken and Collards Nutrition Label. Each serving is one chicken breast and about 1 cup cooked collards.